A recent review for an alternative calculator for the iPhone made me consider what people want from a calculator on their smartphone. 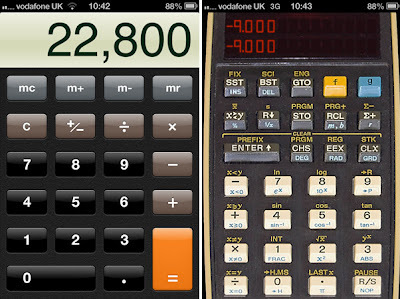 The calculator is one of those apps which you might not need to use that often but when you need it you are really grateful that it is there (or bitterly regret if it is not!) 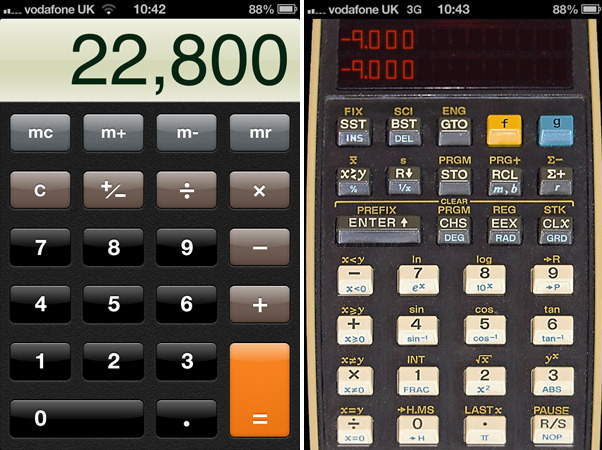 PopCalc which the Telegraph review looks ok and it is good that some designers are trying to think outside the box and not replicate a physical artefact too deeply though i don't really see a huge amount of benefit over the built in calculator app. Software calculators work pretty well on a phone with a touch screen, i hate using them on a computer using a mouse though.